Email us at admin@PhotoEnrichment.com to join the wait/interest list. On this tour we’ll visit some of the most picturesque regions of Romania where an abundance of people, architecture, landscape, food, animal and other photo opportunities abound. 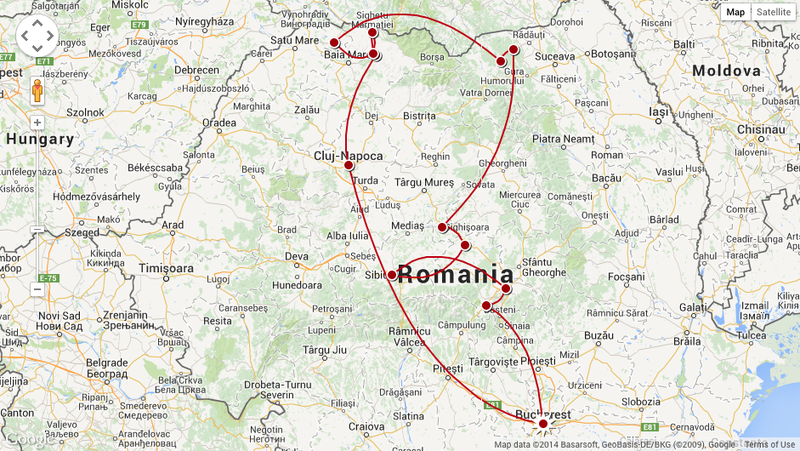 After a short glimpse of Bucharest, we’ll make our way to the region of Maramures, one of the last truly rural areas in Europe. Assuming normal weather conditions we’ve timed our trip to put us in this unique part of the country during the “hay harvest” so that we’ll be able to see the locals, young and old, cutting hay with a scythe, piling haystacks many meters high, and transporting the final product by horse drawn carts as has been done for centuries. From Maramures we’ll cross the Carpathian Mountains into Bucovina. In this region we’ll visit the world famous painted monasteries in Moldovita and Sucevita and discover the art of meticulously hand-painting eggs. The hills and winding roads of Bucovina offer breathtaking landscapes and are a great place to view and photograph the beginning and end of the day, and we’ll be sure you have several opportunities to do just that. Next we’ll explore the often-misunderstood region of Transylvania, where we’ll find charming medieval towns and villages such as Brasov, Sighisoara, Sibiu and Viscri. If we can arrange it, a highlight of this area will be a chance to visit the simple hamlet of a working shepherd and his family, high up in the mountains at the time when they’re herding and milking the sheep. At the end of our visit we’ll have an opportunity to taste some of their delicious homemade cheese and milk products, right on site. Finally we’ll wind down our tour by spending time in a pleasant hotel set among some of Romania’s most beautiful nature. This area is surrounded by imposing mountains, rolling hills, lush forests, endless haystacks, grazing animals and people of all ages working the fields. You’ll have plenty of free time to explore this area on your own and as a group. Join me for a unique trip filled with beauty and impressive photo opportunities in Rustic and Rural Romania! Special Note: This is a trip that I’m leading in conjunction with my friends over at Jim Cline Photo Tours. I’ve worked with Jim and his staff over the years on a number of trips and they’ve gone without a hitch. Rest assured that this trip is made up of our carefully scouted and planned itinerary, and that I will be leading the tour. At the same time you can count on the vast experience of Jim and his excellent staff who have been organizing, administering and leading photo tours around the world for well over a decade. The price for this trip in double occupancy is $5,275 per person*. * A single supplement of $535 will apply to those wishing to have their own room throughout the trip (availability may be limited). Although this tour will be led by Ralph Velasco, for more information and to register for this trip, please visit our friends over at Jim Cline Photo Tours by clicking on Rustic + Rural Romania. In each location we’ll be sure to do our best to get you in the right place, at the right time. Opportunities to meet, interact with and photograph the locals as they go about their daily lives. Daily photography instruction with award-winning travel photographer Ralph Velasco, including group photo walks and locally-guided walking tours in many locations. We’ll also have a mid-trip Image Review & Feedback session. Ralph Velasco is a U.S.-based travel photography instructor, author and international guide who has organized and led close to 100 international tours, including to Egypt, Morocco, the Adriatic, Central Europe, Iceland, Bhutan, Nepal, Vietnam, Cambodia, Spain, Romania, Mexico’s Copper Canyon, Turkey, and other locations (hover your mouse over the TOURS tab above for our currently available trips). He’s also organized and participated in over a dozen fully-licensed Humanitarian and People-to-People programs in Cuba. 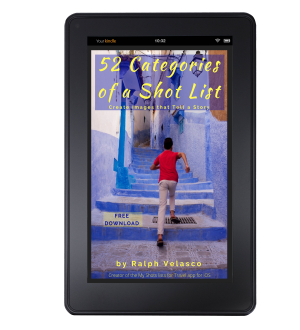 Ralph is an award-winning travel photography blogger and for the past 10 years he’s been the Founder and CEO (Chief Experience Officer) of PhotoEnrichment Adventures. He’s also Creator of Tour Organizer Training, a free webinar and online course series designed to teach everyday people, step-by-step, how to organize and lead their own special interest trips, whether around the world or around the corner. Click here to join the next free webinar.